Most people use walking as a way to clear their mind if they are stressed or confused about a current situation in their life. This is down to the fact that while you are outside you get fresh air and silence, which means that you are able to focus on having some time to yourself. And, alternatively this can be used as a form of social interaction by going out with a group of friends or even spark conversations with those around you. Walking is such a vast sport and includes a number of activities within it that you can enjoy. But within this article we will focus mainly on the three types of walking which are currently popular and trending at the moment amongst the public and athletes alike. Below we will take a look into each of these activities listed below in more detail to help you decide which appeals more to you. Nordic walking requires special boots which will reduce the impact of the uneven terrain on your feet while you walk. And some walkers prefer to take aids such as a specially designed walking pole to allow them to get the most out of the activity. Walks of this nature take part over a long distance across country which not only improves your stamina and greatly benefits your health, it also enables you to see a lot of the countryside and acquire an appreciation for the wilderness. This particular type of walking is carried out in groups of people and they follow a specific trail or can even make their own if given the time to prepare in advance. And a way you can get involved with this is to contact your local walking group and put yourself down for a trail which appeals to you the most. You can join the group alone or get your family and friends involved too and use it as a way to bond while staying on top of your health in a fun way. competitiveness between companions. As a result of this, you will find that as soon as you take part and talk about it with your friends and family, they will want to get involved too and are more likely to walk with you to keep up with the challenge. For this challenge the aim is to reach a total of 1,000 miles walked within the year. 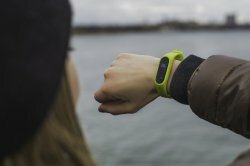 And to keep track of this, you can look at investing in a smart watch or a fitness tracker which counts your number of steps and distance. Or alternatively if you do not wish to count day to day activities, you can base your progress on the miles a single trail will add up to and work from there. However, if long distance and a challenge do not appeal to you and you want to walk on your own terms, then active walking could be for you. This type of walking, like most listed above can be carried out solo or part of a group, but you do not necessarily need any goals or equipment for this. 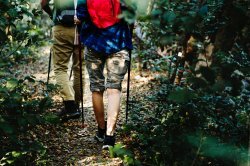 All you would need is your trusty pair of comfortable shoes, and an idea of where you want to walk, whether it be around the block of your local area, or around a nature reserve. The beauty of walking is that you can do it at your own pace and you can alternate between brisk walking and a slow stroll for a nice mix. Due to the fact that you are able to be in full control of active walking, most people prefer this method of keeping fit more. As you are able to fit it into your schedule easily compared to a long distance trek or trying to cram in a number of steps a day. Has the Walking ‘Bug’ Got You? Walking has always been an easy way for people to keep fit as it can be integrated into their daily routines easily. But all of a sudden we have seen a great increase in the sport trend, could this be down to the nice summer we have had here in the UK or could it be that more and more people are joining on the self-care hype and wanting to look after their bodies? Have you recently started to take part in regular walking, or have you always been a long term walker? Or have any of our discussed activities above inspired you to take to the trails? Get in touch as we would love to hear your story. Just search for Sports Fitness on your preferred social media platform and send us a message now! You can also take a look at our online store – Sports Fitness before you head out on your walking journey and pick up all of the latest sportswear and accessories needed all under one roof. We also stock a wide range of sports equipment too, so you may even find yourself another hobby while you are there too!